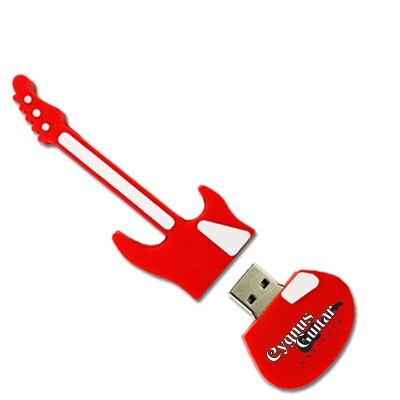 Set your marketing campaign to a different beat with the Guitar flash drive. 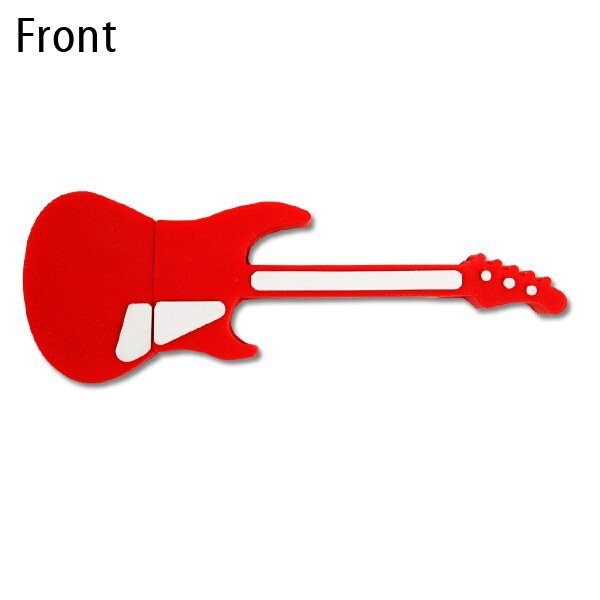 Custom shaped into everyone's favorite rock n' roll instrument, the smooth PVC rubber makes it easy to add your logo or artwork. 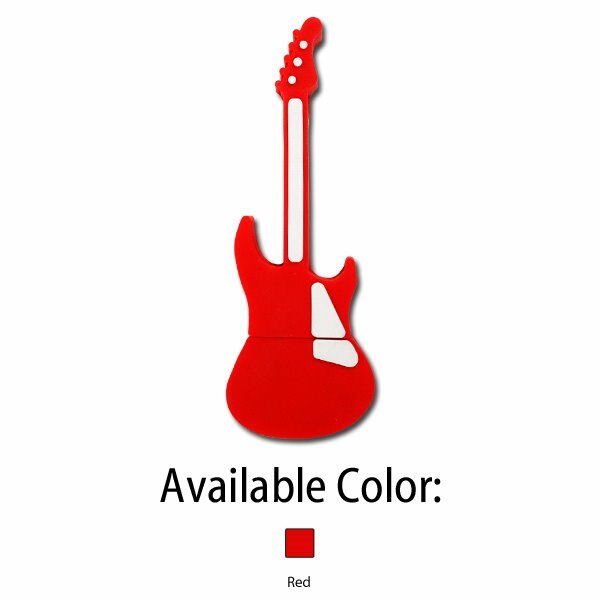 Clients and customers can effortlessly carry important documents and data while exposed to your dashing logo on the fender. 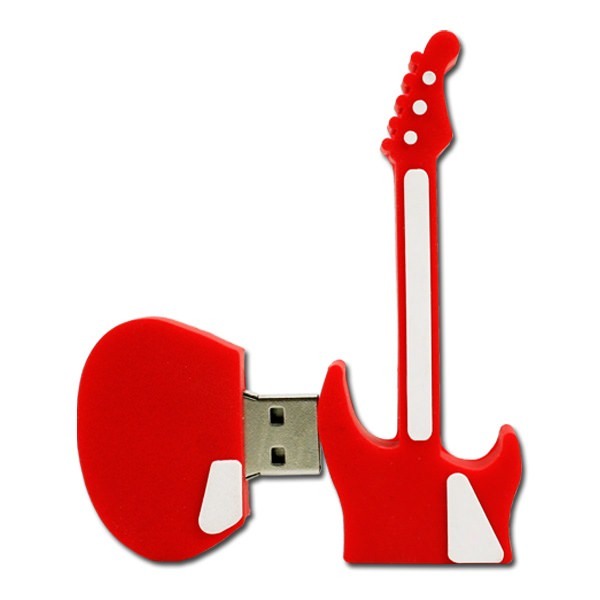 Make your sales number sing with this unique and fun promotional USB drive! Branding works best when customers love the imagery and services the company presents. 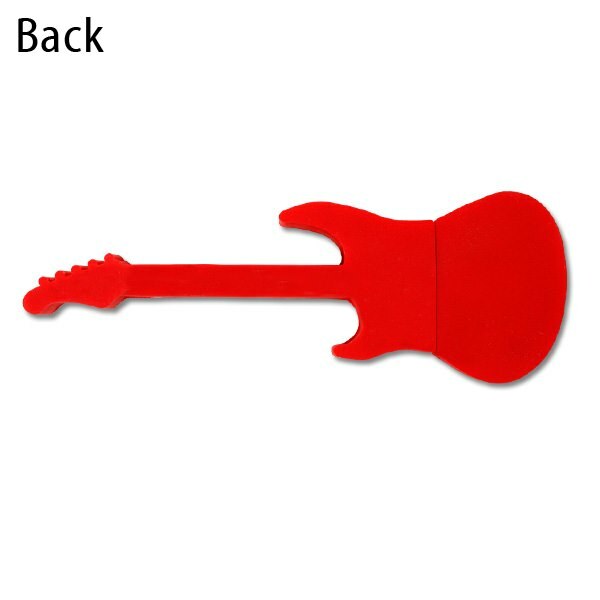 The Guitar is an excellent promotional USB and suits this purpose completely. The data storage function of this item can’t be overstated; data access is readily available and protected by the soft PVC shell. The large print space stands out on the body of the drive and with our silkscreen printing, can’t be missed. Customers love having such an iconic shape and data storage option nearby and are likely to remember this gift for years to come.